Today's star is the legendary Fred Astaire. 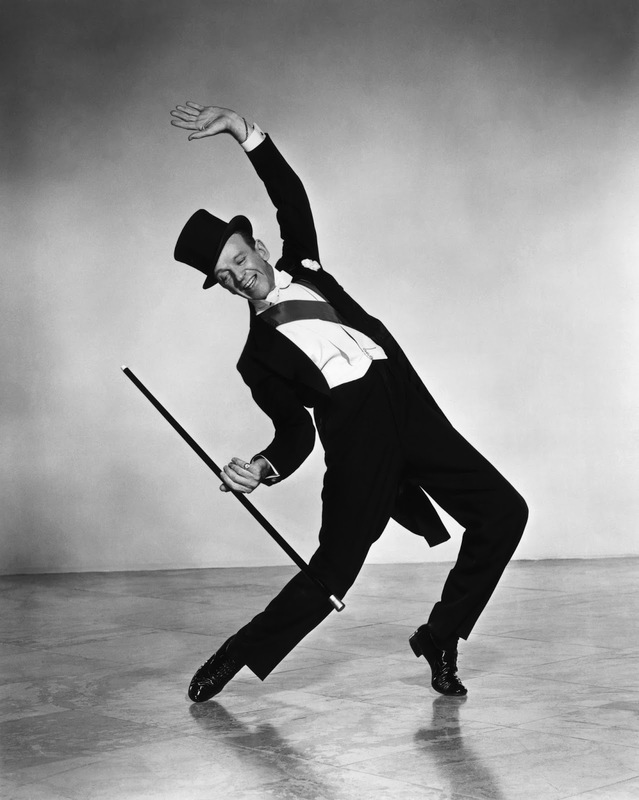 TCM is celebrating the career of Fred Astaire with 13 movies on Aug. 5. Here's what you need to know about this legendary dancer who influenced everyone from Gene Kelly to Mikhail Baryshnikov. FYI: TCM sometimes changes the air times and /or movies, so you can go to www.tcm.com to check the updated schedule. Born: May 10, 1899, in Omaha, Neb. Died: June 22, 1987, in Los Angeles. He is buried Oakwood Memorial Park in Chatsworth, Calif.
AKA: Astaire was born Frederick Austerlitz, but when he and his sister, Adele, went on stage the family decided they needed a more marquee friendly surname. Fred's father chose Astaire, which was the name of a favorite uncle. Academy Awards: Astaire was nominated for best supporting actor in The Towering Inferno (1974). 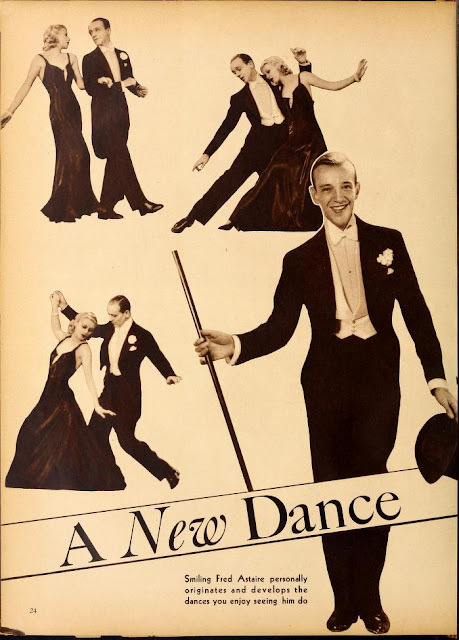 Brief bio: Astaire began performing at the age of 5 with his sister, Adele. The pair quickly became a sensation on the vaudeville circuit, and they were the toast of Broadway and the London stage in the 1920's. Adele retired after she married in 1932, so Astaire went to Hollywood. He earned a contract at RKO Pictures despite a disastrous screen test. 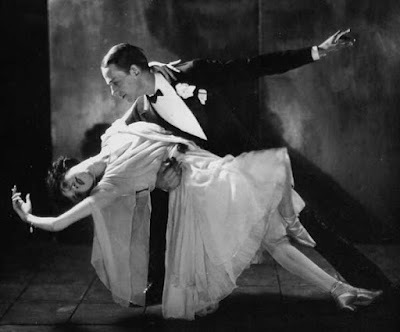 Astaire made his debut in Dancing Lady (1933) opposite Joan Crawford, but he hit it big later that year when he was paired with Ginger Rogers in Flying Down to Rio. The duo made eight more films at RKO before splitting up in 1939 (they would reunite in 1949 for The Barkleys of Broadway). Astaire's solo career was disappointing at first, but he had a career resurgence with Easter Parade (1948). Astaire went on to appear in some of the best musicals ever made, including The Band Wagon (1953) and Royal Wedding (1951). Adele and Fred Astaire in 1921. Fun fact: RKO executives gave this famous assessment of Astaire's first screen test: "Can't sing. Can't act. Balding. Can dance a little." Signature role: Dancer and gambler Lucky Garnett in Swing Time (1936). 1. TCM is airing all nine of the RKO Astaire/Rogers musicals on Wednesday. My personal favorite is Roberta, airing at 9:30 a.m., which not only has the glorious "Smoke Gets in Your Eyes," but it also has my favorite of Astaire's solo numbers, "I Won't Dance." 2. Many consider Swing Time, airing at 3 p.m., the best of Fred and Ginger's movies. 3. The Band Wagon, airing at midnight, is one of the best musicals of the 1950's. with The Girl Hunt ballet being one of cinema's most iconic dance numbers. A great film not featured on Summer Under the Stars: Easter Parade is a seasonal movie, but it's great to watch any time of year for the Astaire/Judy Garland number "We're a Couple of Swells" and for Astaire's amazing solo dance to "Steppin' Out with My Baby." Fan magazine flashback: Fred and Ginger demonstrate their "Smoke Gets in Your Eyes" dance for the eager readers of Movie Classic. Courtesy of the Media History Digital Library. 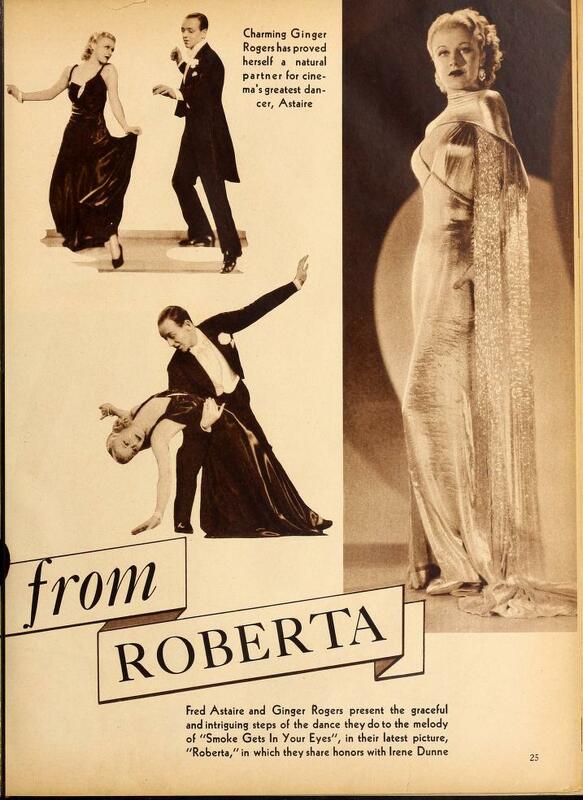 Video: My favorite of Astaire's solo numbers is I Won't Dance from Roberta. Old Hollywood GIF: Fred and Ginger twirl around the dance floor in Top Hat (1935). Courtesy of giphy.com. An in-depth look at Fred and Ginger's last RKO movie, The Story of Vernon and Irene Castle. A look at the beautiful ballad, "The Way You Look Tonight" from Swing Time. Fred's iconic dance to "Steppin' Out with My Baby" in Easter Parade. For more Summer Under the Stars articles, go here. There'll be plenty more on Astaire on social media. Follow me on Tumblr, Google+ or Pinterest or like us on Facebook. Follow us on Twitter @oldhollywood21.